Tesla Motors, headquartered in America's Silicon Valley, has made a name for itself in recent years through the full-fledged development of electric vehicles (hereinafter EVs). These vehicles are symbolic of a long-awaited dream of vehicles which do not release exhaust gas like vehicles that run on fossil fuels and do not use the earth's resources. However, realizing such a dream requires extraordinary advanced technology. 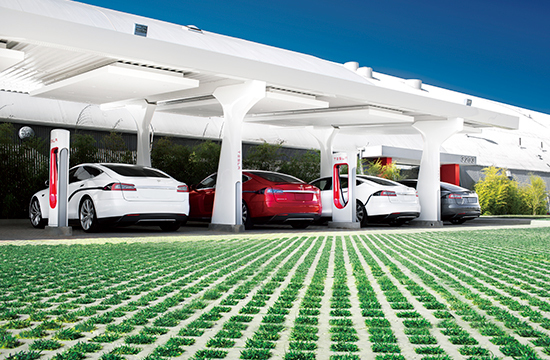 Despite this, Tesla Motors is attempting to realize a society where EVs are completely commonplace. 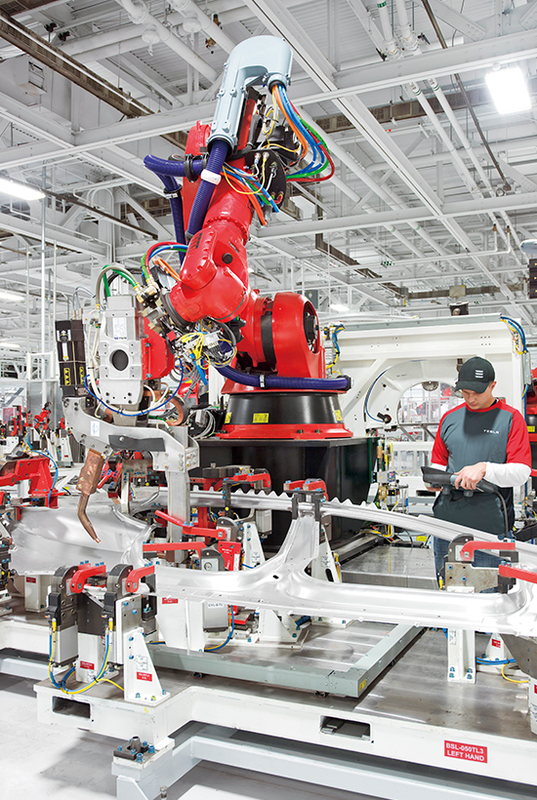 Tesla Motors was founded in 2003 under the leadership of an entrepreneur, Elon Musk. Differing from most manufactures that start with "an affordable car with low specs", based on the idea to "release an expensive car but with excellent style and functionality realized by new technology”, they took the strategy to maximally show the potential of EVs. And in 2008 they released Tesla's debut product, the “Tesla Roadster”. This car sold out immediately after release, and it was so popular that there was a flood of orders thereafter. Furthermore, one of the features was that it combined existing technologies. They improved and utilized the same batteries whose technological safety and function have been established in existing home appliances and other devices. Additionally, the interior of the cars is equipped with a touch panel, enabling cutting-edge operability and functionality. On top of that, it achieves smooth acceleration like that of a supercar. The philosophy of Tesla is to spread the cars developed by them as the eco-cars of the future. However, because EVs are still a developing technology, they have a high cost and are still difficult to provide at low prices. For this reason, if we only focus on the current price it looks like luxury cars, which is not what Tesla wants. In 2014 they started sales in China, but despite differences in related costs such as taxes, the price is the same as that in other countries. The strategy of selling the cars at the same price throughout the world carries some risks, but this can be called an expression of their conviction to spread EVs throughout the world. CEO Elon Musk spoke as follows regarding the future of Tesla Motors. "As we move forward we should not move toward gasoline cars. This includes not only fossil fuels, but hydrogen also has a high cost, as well as problems with storing and transporting it. Electricity generated through highly reliable and renewable energy is unrivaled. Our company's philosophy is to spread EVs throughout the world, so we have already made the decision to liberalize the patents regarding EVs. We want the succeeding companies to be able to manufacture and provide EVs at lower costs."